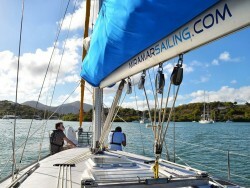 With Miramar Sailing School the Caribbean sailing experience becomes a reality! 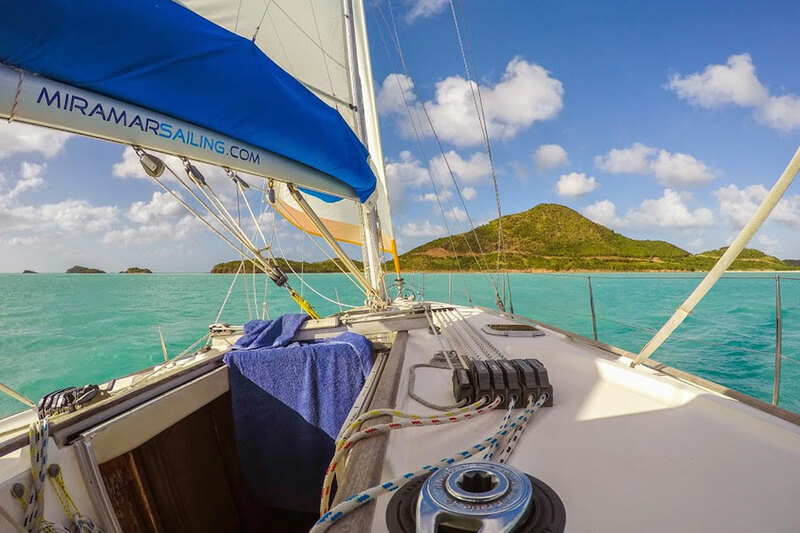 Compare the cost of a skippered Caribbean charter from one of the many charter companies in the region, then add the bonus of RYA certified training with certification, and you will realise just how real it becomes! For example, a group of 4 students booking together can take a RYA Competent Crew or RYA Day Skipper course for the highly competitive rate of US$825 per student. This is a very competitive price for the pleasure of learning to sail in the beautiful Caribbean. 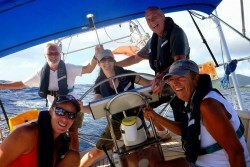 Group discounts are available on all individual RYA Courses. Please see the particular course you are interested in below. 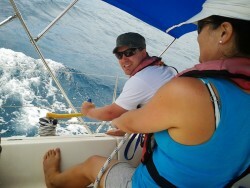 Sailing is in the blood of Brian & Pippa, the founders and co-owners of Miramar Sailing. Both love to sail, and both love to teach others to sail. However, they are not blinkered in their love of sailing and realise that just “getting out on the water” is what it’s all about! 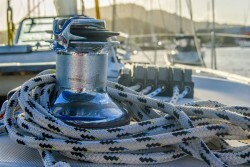 They established their RYA Recognised Training Centre in 2010, offering formal, certified sail training in accordance with the RYA Yachtmaster Scheme. In 2014, they extended their RYA recognition into Power Boating, and now offer the RYA National Power Boat Scheme to Levels 1 & 2. 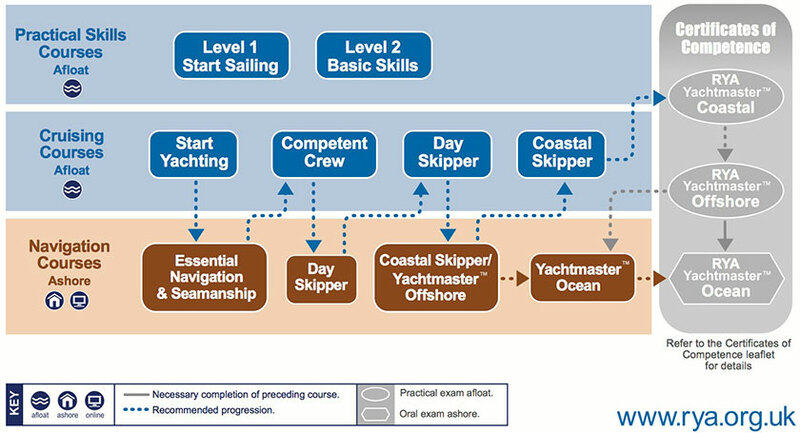 By necessity, the structure of RYA Training Schemes is well defined and established as it should be. Please Note: We aim to place no more than 4 students on our 40 – 44 ft yachts, although this cannot be guaranteed. 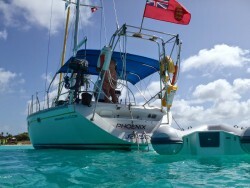 Other schools will place the RYA maximum of 5 students on 35 – 38 ft yachts. This provides more comfort as well as a more effective student to instructor ratio. and finally, and somewhat inevitably thanks to Pippa! Girls Go Sailing – for those who may be subject to a dominant male when sailing, and consequently lacking the confidence to develop their own skills and abilities. Or, simply, just want to get away with the girls from time to time! Do we have the right credentials to offer all this? We most certainly do! Both Brian and Pippa are commercially endorsed RYA/MCA Ocean Yachtmasters. 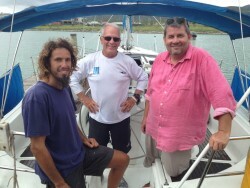 Brian is the Principal of the RYA Sailing School, and a Director of the National Sailing Academy of Antigua & Barbuda . Pippa is a RYA Yachtmaster Instructor and Chief Instructor of the RYA Sailing School, and also a Director of the National Sailing Academy of Antigua & Barbuda. 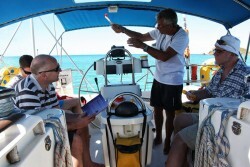 Our team of qualified Instructors – mostly RYA Yachtmaster Instructors – is extensive, and all will deliver the same high standards of training. The skills and knowledge required to achieve these levels of qualification have been learned over many years of global sailing experience. Brian, Pippa and their team are dedicated to passing these skills on to anyone who wishes to learn. Is this you? 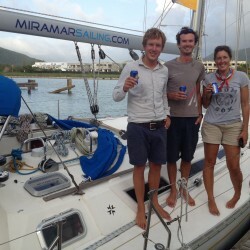 What type of training can Miramar Sailing offer you?